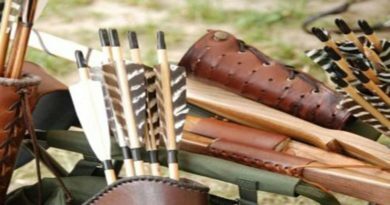 A lot of novice shooters envision hunting as stalking. 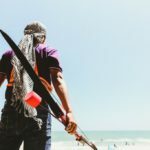 While stalking is a part of hunting, it is not even close to the art as a whole. 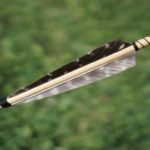 Bow-hunters, everywhere in the world, rely on some sort of ambush, but to be able to successfully execute an ambush you need information and patience. You should have knowledge of your quarry, a good amount of scouting, a stable and invisible setup. The patience refers to being able to wait and being able to control your shot according to the elevation of your heart rate, until just when the time is right. You will need a lot more patience if the information is not accurate or reliable. If you know a Doe will pass a route at the same time every day, your chances of setting a successful setup increase ten folds. Sometimes hunters use cameras to track these animals. However, if you don’t have information like this, you may end up waiting for days or weeks. Good information is the key for most successful hunters. Now, are you ready to see something designed specifically for hunting? Well, buckle up and hope that you have it in you. 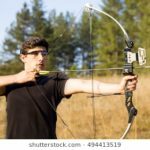 Before we bring forth our pick for the best recurve bow for hunting, we sincerely hope that you have had your time to practice with some compound bows or target practice bows (see our review of the best archery range bow). Although fit for men and women of all sizes, this sophisticated yet traditional design is not for the faint-hearted. 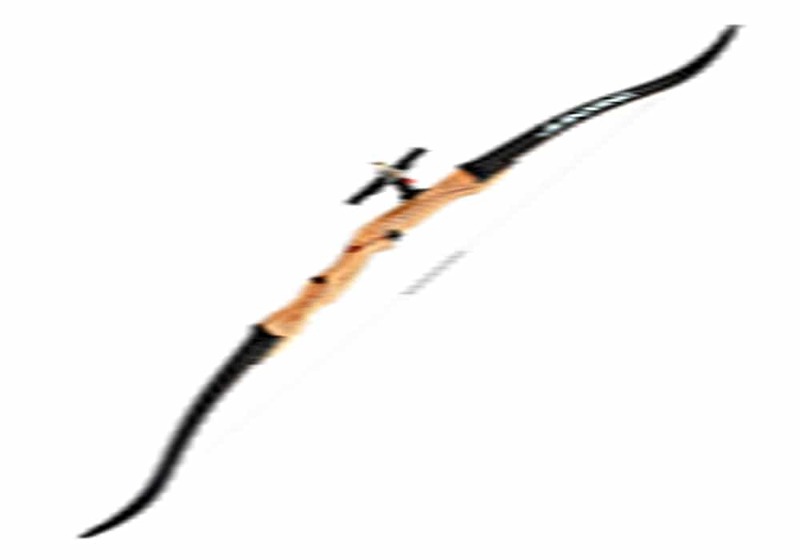 Presenting, the ‘Longbowmaker KYS Handmade Recurve Longbow’. This Beechwood frame bow sets itself apart because of two major reasons: Its traditional ergonomic design borrowed from the Ming dynasty bows and this price for the performance it packs. 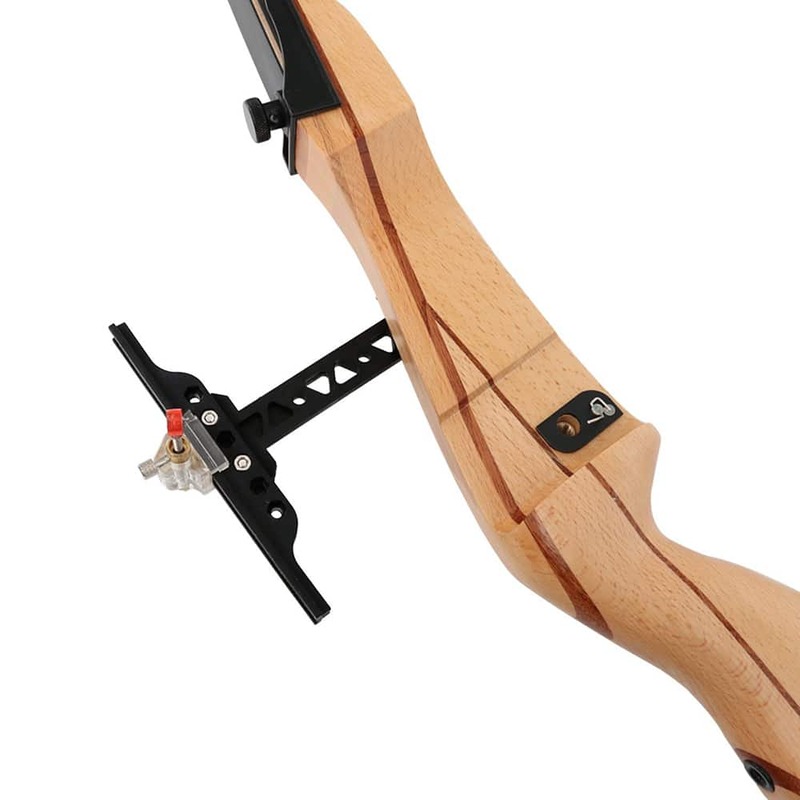 Let’s talk about the figures and aesthetics first: This, so far only apparently ‘best recurve bow’, comes in a wide range of weights starting from just 15 pounds and going up to 80 pounds. So, whether you’re looking for an upgrade or downgrade in that sense, there’s something for everyone. This also makes it suitable for all kinds of users with a different body built and shape. Just make sure you are 5 feet or above because the length of the bow is 148 cm. The string is 131 cm long, almost as much as the fully bent bow, giving it tremendous power at 28-33 cm draw length. 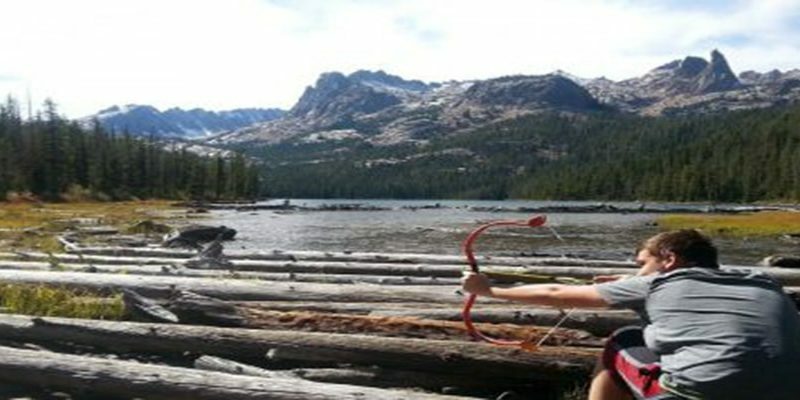 The velocity of the shot will drive you crazy, particularly with the heavier arrows. In terms of visual appeal, it will charm you with its pleasing glass steel polished Snakeskin exterior and beechwood limbs to hold the string uptight. The only thing to consider is the brace height of the string. It is 4.5 inches right out of the box and might cause too much of the string to sit on the Siyahs. If you don’t want it slipping over to the sides your best bet is to wax it on and off for a few minutes and give it little twists. This will make it go up to 6 inches and will enhance your shooting experience further. Tip: After wax and twist, leave it stringing overnight to let it settle and stretch and then twist a little more the next day. The design is traditionally simple and stable for uninterrupted long use. The grip of the bow is comfortable Jane skin leather with Ox horn at the center. 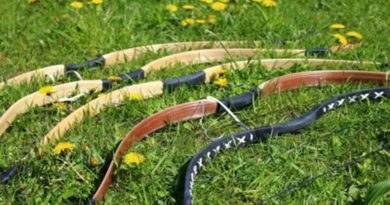 This probably is the best recurve bow if you like to go all-natural about your hunting gear. The draw is as smooth as the surface of a mirror. 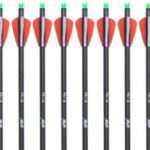 Remember those shots you had to hold yourself back from just to adjust the arrow at the right spot? Yeah! You can forget those and prepare yourself for a straight shot, every time. The components are very durable and last a long time, also, because they are all natural, it is very easy getting used to of the equipment and eventually that weightless feel kicks-in. 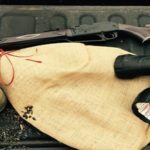 If you are an instinctual hunter, you are going to fall in love with the range of its shot and its capacity to maintain its performance over time. 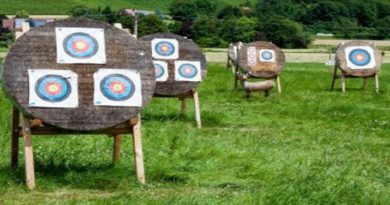 We brought it forward on our list of best recurve bows because we know this is a piece of equipment even you cannot resist recommending once you get your hands on it. It is essentially a very well-crafted bow and every single detail on it is excellent. You are very unlikely to find a better bow at double the price. Best Recurve Bow | “Sage 2” Spyder Takedown Recurv Bow.